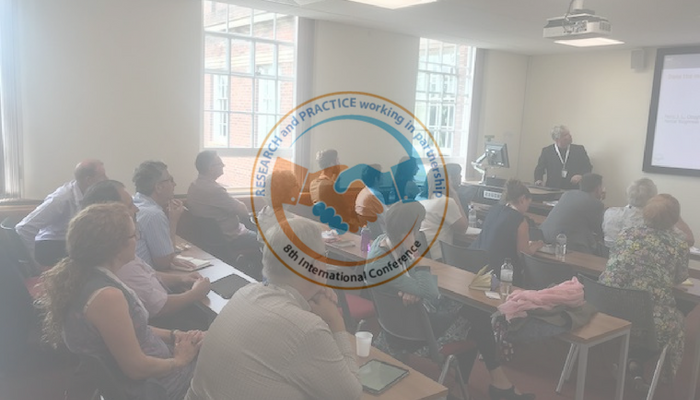 Professor Peter Clough, Head of Psychology at Huddersfield University, and Doug Strycharczyk, CEO AQR International, addressed a packed session at the EMCC 8th International Conference held at the superb facilities at Chester University Business School this week. Doug outlined the research and development which has led to the 8-factor version of the 4Cs Mental Toughness Framework. The framework has a special relevance for coaching and mentoring activity, providing an important insight into “how people think”. Understanding this is a powerful ingredient for developing self-awareness in an individual about the mental factors which either hinder or help them to achieve and to enjoy good well-being. Peter Clough (pictured) spoke about current research which added further insights into “how people think”, focusing particularly on its applications in Coaching and Mentoring activity. This included work on “Directed Forgetting” – the ability that some have to put aside setbacks and negative events and recover them later when better able to deal with them. He also spoke about a paper on “Forgiveness”, produced jointly with a South African University examining how and why an individual can forgive in the most trying of circumstances. The study shows that the mentally tough are generally better able to “forgive”. The session was very lively with many excellent questions and comments coming from the audience. Indeed the whole conference, organised by EMCC, was a great success.